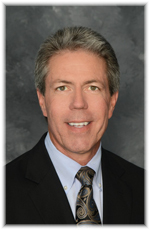 Carl Craig serves as a Managing Director for 1stWEST Mergers & Acquisitions. He brings over 20 years of business experience from the analytical instrument, laboratory and medical devices industries. Carl is uniquely positioned to lead our team in the science and medical device sectors. Recently he has integrated the rapidly growing cannabis sector to his area of expertise. Dr. Craig most recently held the position of Vice President and Chief Operating Officer for the Microbial Solutions Division of Charles River (NYSE:CRL). There he was responsible for the P&L as well as all aspects of operations for this near quarter billion-dollar division. He was responsible for strategy, growth, globalization as well as merger integration. During his tenure he lead the business through 5 multinational acquisitions in excess of $250M USD of enterprise value. Dr. Craig previously served as President of Environmental Resource Associates (ERA) where he was responsible for leading this post acquisition $15M privately held company to become a $60M division of Waters Technologies (NYSE:WAT). ERA is one of the leading providers of Certified Reference Materials (CRMs) and Proficiency Testing (PT) products to thousands of laboratories around the globe and across multiple industries. Prior to that he founded a life science company that was successfully transitioned to a wholly owned subsidiary of ERA. Carl’s experience also includes serving at the executive level in Quality Assurance as well as Sales and Marketing functions. Vision and the realization of a well stated vision are key success factors for Carl. He has managed acquisitions from both the buy and sell side and understands the critical nature of linking great scientific and product knowledge into a clear vision to optimize client outcomes. Carl has a strong international background with operating experience in over 80 countries around the globe. Dr. Craig received his Ph.D. in Chemistry from the University of California Santa Barbara and served a Postdoctoral Fellowship at the University of California Berkeley. He is active in his community serving as a volunteer firefighter from 2001-2006 and is Founder and Club Director for a junior girls volleyball program. Carl is an active Colorado outdoor enthusiast and enjoys cycling, skiing and snowboarding.